Scholastics Books and the Sandals Foundation support reading. When I traveled to the Caribbean recently on behalf of a blogging trip, we brought down supplies to support the Sandals Foundation, which is a non-profit organization that gives 100% of its donations (monetary and in-kind supplies) to schools in the Caribbean. You can read more about the Sandals Foundation and Pack for a Purpose here. However, of the most needed items are books. Books are a minor item with major impact on kids around the world, but especially in an area where books are scarce and the ones I found just in stores on the Islands are twice the price you would pay for in the States. Thus the cost of books an expensive acquisition out of reach for many – especially kids. We all know how literacy is key for longevity, so Scholastic (known for books!) has created a a partnership with the Sandals Reading Program I wanted to share with you. 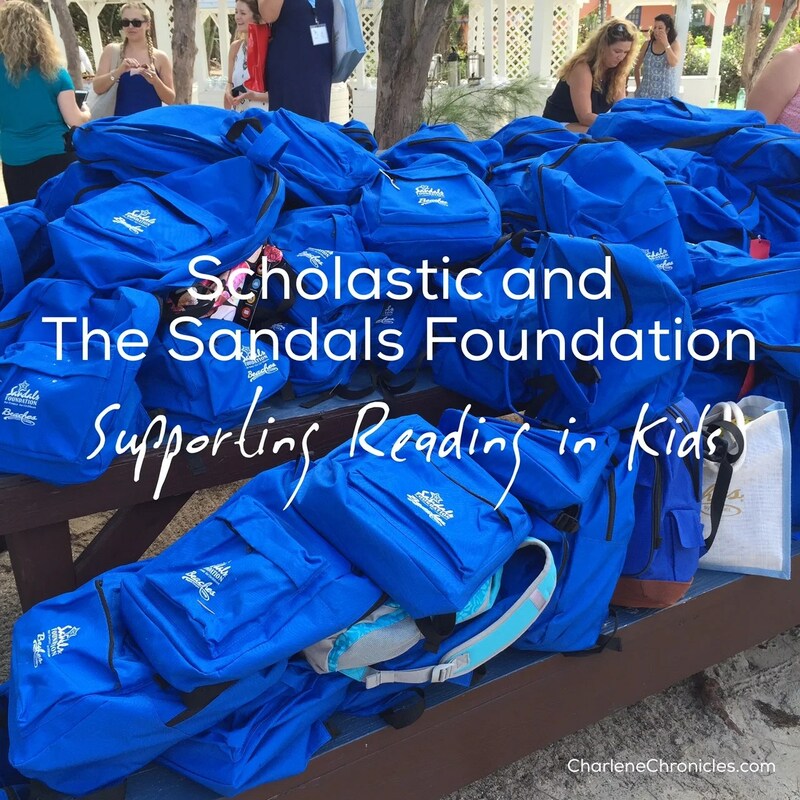 Scholastic has partnered with the Sandals Foundation to support the sharing of books as you shop for stories. Buy a book for your kids’ library and buy one for the Sandals Foundation library. When the Scholastic Books come in the mail to your home, share the story with your kids about the kids who don’t have any books or very few of them. Then have your kids help you pack the book to send to Sandals Foundation, c/o DT Business Services, 5000 SW 75th Avenue, Miami, FL 33155. Then, every time you read the same book at home, your child can think about another boy or girl reading the same story in another country. To make the support more affordable, use the code SANDALSF for 20% off your order from now until October 22, 2016 and there is free standard shipping on book orders over $35. Spread the word (literally) about literacy and the need for books! Then check out a new book about Raising a Rock-Star Reader by Amy Mascott with lots of tips to give your kids a love of reading. If you ever visit a Sandals or Beaches Resort, check out the Reading Road Trip excursions. It is an opportunity to go into the local Island schools and read to the kids. It is a great opportunity for Tweens and Teens to do, to give back and give meaning on their vacation, as well to broaden their prospectives. If a trip to the Caribbean is not around the corner, then make a trip to read at a local school near you, or buy some books to support a local shelter. There are lots of ways to spread the love of reading, and the first way to start is taking the time to read to your kids today.